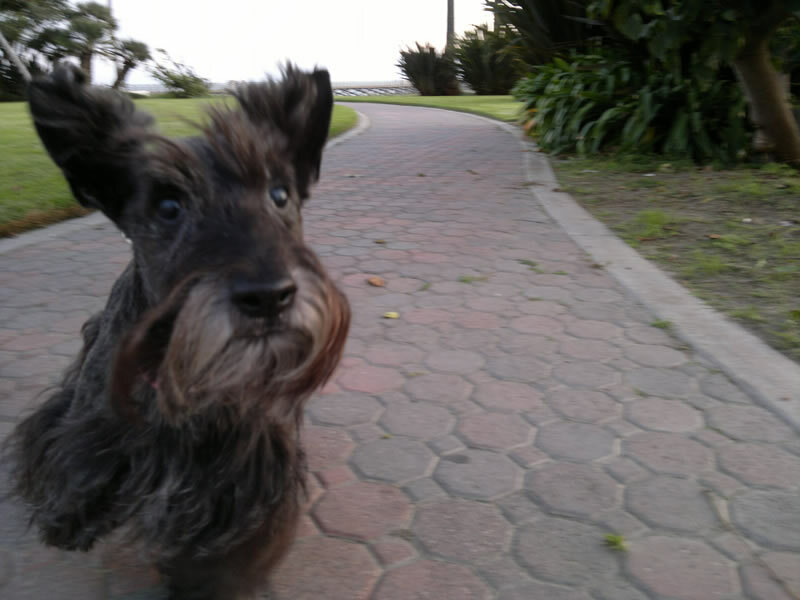 Photo of Abby taken this afternoon by Ms. Jen with her Nokia N8. Tue 10.25.11 – Yesterday, today, and tomorrow are/were the Qt Dev Days 2011 in Munich and I wish that I was able to have been there. Tomorrow and the next day will be Nokia World 2011 in London and I am not so sure I want to be there, although I would like to have attended this Thursday afternoon’s Developer’s Track sessions. Seven months and fourteen days after February 11th, I am still conflicted about Nokia’s getting in the business bed with Microsoft. At 9am GMT on Wed. Oct 26th, 2011, which is less that 3 hours from now, during Mr. Elop’s keynote the new Nokia Windows phones will be announced. I plan to be sleeping tonight, as the keynote will start at 1am here, and as Feb 11th proved it is not wise for me to wake up in the middle of the night to watch Mr. Elop speak about Nokia and Microsoft. I truly and sincerely hope that one of the announcements in the next two days of Nokia World 2011 is that Qt will be at the core of the next billion mobile devices. Yes, that developers and designers will be able to create apps for the S40 feature phones using Qt. Whether Qt will come installed on the newest feature phones sold and then one can use Qt Quick to create apps for Java based S40 and the Nokia feature phone line or that the Meltemi rumors are correct and that the bottom of the stack from here on out is Linux based. Regardless of how it turns out, it would be lovely to be able to write and publish once for Symbian^3/Anna/Belle and for the S40 feature phones. I would love to take my current ideas and run them as apps on my Mom’s Nokia C3 Touch & Type phone, as well as my Nokia N8. But it is not just native apps that I am talking about, but the power of developers being able to add to and contribute to open source mobile phone architecture. Therein lies my real hope for Nokia World 2011, hope for the power of developers to use Qt to reach folks all over the world in the form of well-build, cheap, connected feature phones and that the software on those phones will be created and run on Qt, as that would be a very important step for open source development to become the standard for many, if not most, of the mobile devices sold worldwide. by Ms. Jen on Tue October 25, 2011 | Permalink | moleskine to mobile, tech + web dev.